What a gorgeous picture! The mother looks so happy and proud and the little baby so peaceful. Thank you for this gorgeous post, my dear. I used it to illustrate one of Jan's poems a few years ago. She chose it herself. 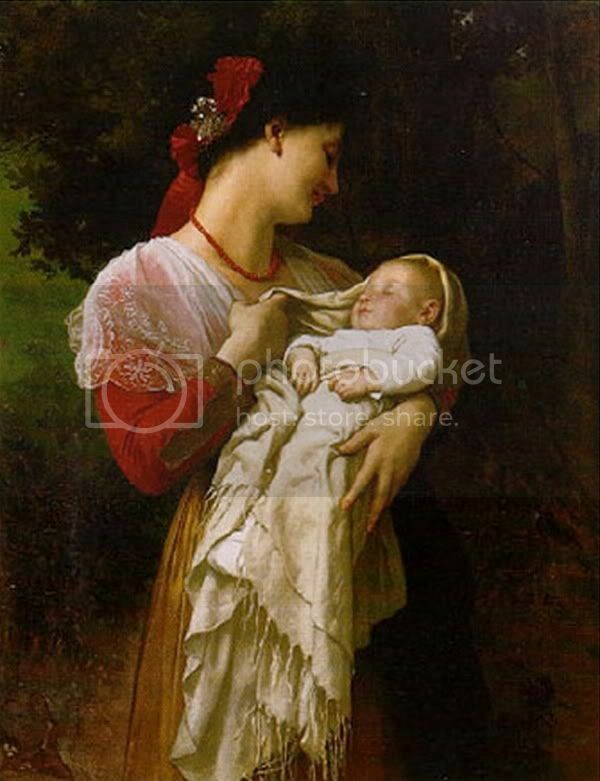 I hadn't seen this Bouguereau before.